Remember when Bluesfest managed to get Kanye West to come to Ottawa and it was one of the craziest shows Ottawa's ever managed to witness? Then, the year after, they got Future to come when he was basically in his prime; and to top it off, in 2017, they brought Migos. Although that show managed to create riots, and there were way too many underage kids indulging in illicit drugs and alcohol, if there's one thing that can be said, it's that the show was lit AF. With that being said, last night at around 12:06 A.M., Bluesfest sent out an email dropping 2018's lineup, and although there were many fake lineups created with speculation that Cardi B, SZA, Lil Pump, and Kendrick Lamar, to name a few, would be coming, none of it was true. Instead, we're getting acts like the Foo Fighters, Shawn Mendes, and a bunch of other artists who basically cater to white folk. Essentially, Bluesfest just f*cked over all hip-hop fans and people aren't happy. Although it's safe to say that Migos brought upon a ton of backlash to Bluesfest organizers, hip-hop fans were more than pleased to finally see Ottawa start headlining some major names. There aren't many clubs or companies that can afford the budget of say, Cardi B or SZA, which is why fans rely so heavily on Bluesfest to do so. As Ottawa grows, it becomes a more cultured and diverse city, with a lively youth population that come from many different backgrounds. This isn't the same, boring government city it was 5 years ago and in a time where hip-hop is the new rock and roll, why are the biggest organizations in Ottawa trying to keep the city so outdated and lame? Many hip-hop haters could argue that people are just mad because their favorite acts aren't coming but that doesn't mean Bluesfest is a flop and you know what? We've heard it all, Paul. 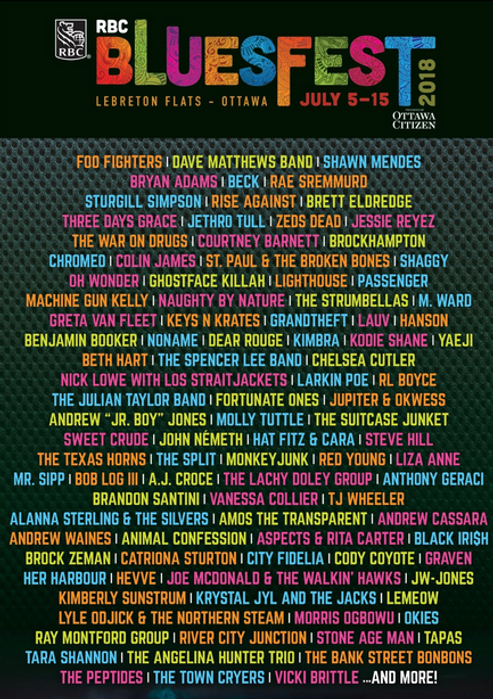 We get that you still listen to soft rock and punk music but considering Bluesfest is supposed to be a diverse music festival with acts from all genres, hip-hop fans are beyond disappointed; to put it simply, this lineup is trash. Fortunately, there will be one decent hip hop act coming to Ottawa for Bluesfest, this summer, Rae Sremmurd, known for their tracks "Swang" and "Black Beatles". However, it's not certain that this year's Bluesfest will have as big of a turn out as previous years considering how noninclusive the lineup is.